Do you feel exhausted after working on your book day after day? Do you feel that nothing you write is good enough? Are you starting to resent writing and wish you were doing something else? It could be that you are verging on writer’s burnout. 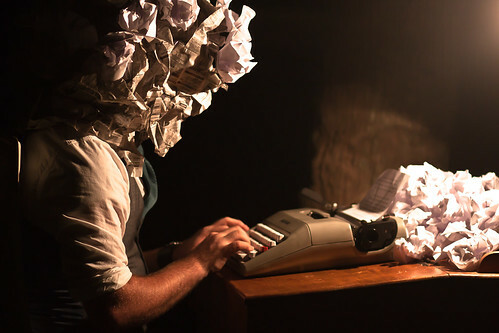 Burnout isn’t the same as writer’s block, which tends to be short-lived. Burnout lingers. It’s caused by prolonged stress, and leads to mental and physical fatigue. Unchecked, it can cause stress-related illnesses, irritability and poor performance. All too often it ends with the writer giving up completely. Think of all those wonderful books that haven’t been written due to burnt out writers! Following these steps will help you avoid that awful situation. That’s just setting yourself up for failure. Be realistic about what you can achieve and when. Consider all your commitments, your capabilities, and be kind to yourself. Often, however, deadlines are set for us. If you know you’ll struggle to meet a publisher’s proposed deadline, say so before you sign the contract. Try to negotiate a more realistic date. They won’t appreciate you making promises you can’t keep! Although they build a certain degree of flexibility into their schedules, if you miss the deadline you risk looking unreliable and unprofessional. If you’ve already committed yourself, however, notify your publisher as soon as possible so they have a chance to reschedule. Don’t get so overwhelmed by your work that you forget to look after yourself. Make sure you eat properly – no junk food at your desk. Nothing chases away the writing muse like the smell of greasy fat. Take the time to exercise but be sure to pick something you enjoy. The idea isn’t to put more pressure on yourself, but to relieve it. Vigorous exercise helps you let off steam, while gentler exercise like yoga helps you relax. Pick your activity and factor it into your daily routine. Even simple walking does wonders, especially if you manage to switch your mind off and enjoy the view. And don’t forget sleep! Many writers cut down on sleep when a deadline looms. Although it’s okay to do this occasionally, try not to burn the midnight oil regularly. Nobody can function when they are chronically sleep deprived. Your words will be as lacklustre as your mood. Very valid points, Stella. Although I love writing more than anything, once in a while, I need to pause and move onto something else. Thanks for reminding me that it’s okay to feel that way. My pleasure. Taking a break and living life gives us material for the next book! Yes, I’m on the verge of this fairly often, especially lately! I definitely set very lofty goals and deadlines for myself. I have to keep reminding myself that, really, I don’t have to get the draft finalized so soon, I don’t have to be ready to submit to agents end of May. I have to force myself to step away from my work and do other things to recharge my creative fuels. I have to say, taking up blogging has definitely helped me step away. Thanks for the tips!